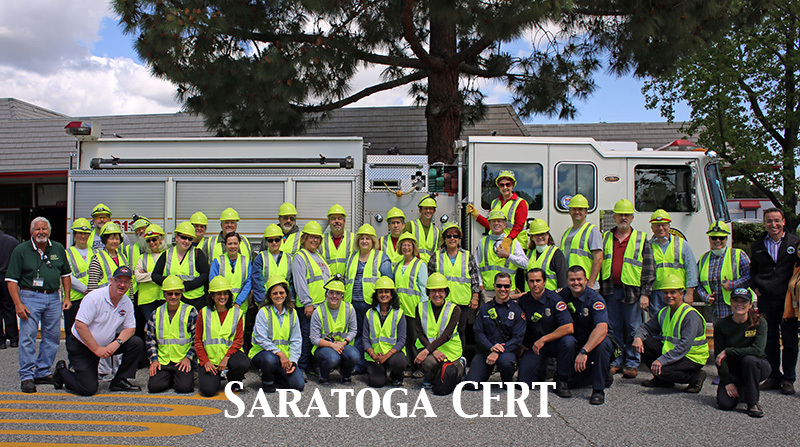 Santa Clara County is looking for sixty victim volunteers for our annual CERT exercise and if you have students that would like to participate we would love to have them. We could provide a letter showing their volunteer time if you encourage community participation. Or if you have something else in place and we maybe able to participate let me know. Below is some information about what we would like the victims to do. Please help us create an excellent exercise for our Santa Clara County CERT members as Victim Volunteers. Exercise scope: The CERT teams from across Santa Clara County will meet on Oct 27th at Moffett Field for a joint exercise. Any CERT who is a member of one of the Santa Clara County CERT organizations. * Practice setting up an incident command post and using radios for communication. What you will do: Victim volunteers really make the exercise. You will be given scenarios and placed in the old barracks for the CERT teams to find you TRIAGE and treat you based upon your scenario. You are encouraged to get into the roles as much as you wish. After you check in you will be given your scenarios and assignments. When: There are two sessions and you may select either session or participate in both sessions. First session starts at 8:00am and the second starts at 11:50am both last about three hours. What to bring: You will need to be at least 18 years old to gain access to the Federal site and will need to complete a waiver at check-in. Snacks and drinks will be provided. Dress appropriatley for the weather, long pants, closed toe shoes and long sleeve shirt is recommended, prepare to get a little dirty, Identification is needed to get through the security gates at the base.